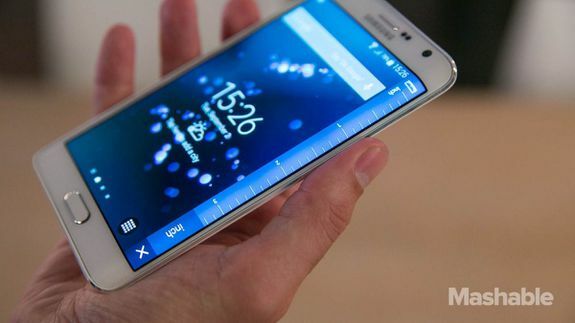 Galaxy Note Edge, Samsung's fastest-charging device, gets a U.S. debut date - trendistic.com: ever tried. ever failed. no matter. try again. fail again. fail better. Samsung’s Galaxy Note Edge, the strange-looking device with a curved edge screen that wraps around the phone’s right side, is set to debut in the United States on Nov. 14.